Published on August 14, 2014 in Career Humour, Career Management Tips, Mistakes To Avoid, Productivity Tips, Professional Development Tips and Time Management. 0 Comments Tags: Procrastination, Sabotage, Self-Sabotage, Wasting Time, Worry. Whenever I see or read quotes (or jokes) like this, they make me laugh while at the same time wonder if people get the REAL MESSAGE. I know too many people who procrastinate and self-sabotage their career and success. They are their biggest obstacles to just about anything they want, if only… they got out of their own way! 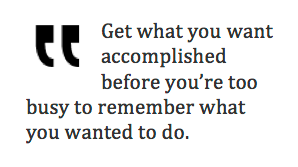 Get what you want accomplished before you’re too busy to remember what you wanted to do. Published on February 25, 2013 in Goal Setting, Leadership, Productivity Tips, Professional Development Tips, Team Management and Time Management. 1 Comment Tags: Beethoven, Getting Motivated, Team Building, Team Motivation, The Power Of Why. Today’s blog post is priceless and timeless. Priceless because it can be life-changing and timeless because it dates back several hundred ago and it remains timely and relevant to this day… This was submitted to me by Mark Mackenzie of The Graffiti Eaters. When Beethoven was 26, he started to lose his hearing. It began as a ringing in his ears that got worse and worse until he was almost completely deaf. It became so bad that the only way he could communicate with his friends was by getting them to write down what they were saying in a book, into which he would write his reply. Beethoven’s devastation over what was happening led him to live alone in an Austrian town where he spent time contemplating suicide. And yet he persevered. In letters penned to his brothers, he wrote that he remained committed to his work because he saw his art as something that had to survive even if it meant enduring the heartache of not hearing his audiences applaud. “It seemed unthinkable for me to leave the world forever before I had produced all that I felt called upon to produce,” he wrote. And so, in the face of pain and struggle, he miraculously continued to compose music. In fact, some of his most brilliant and famous work emerged during the period that his deafness was at its most severe – truly magnificent pieces like his Symphony No. 9. The reason Beethoven was able to continue so resolutely in the application of his craft can be attributed to the word why. As is often said, when the why is big enough, the ‘how’ takes care of itself. In Beethoven’s case, the why was the influence his music had on the world. The power of why has been proven empirically by psychologists at Ohio State University. In a number of experiments, researchers discovered that people who considered ‘why’ they performed a challenging task were more likely to persevere with it. In comparison, those who focused only on ‘how’ to do it were more likely to give up. The why gives people the purpose to follow your vision and it adds meaning to a job that may otherwise be uninteresting. It may be invisible, but the why is what generates the visible. To those who are feeling uninspired, it is music to their ears. Published on September 27, 2012 in Career Management Tips, Goal Setting, Mistakes To Avoid, Productivity Tips, Professional Development Tips and Time Management. 0 Comments Tags: Goal Setting, Life Management, Time Management. In my line of work, I come across two types of people. Type 1 wants to make money, achieve something, do whatever it takes. Type 2 wants what everyone calls work-life balance because they have achieved ‘enough’ and realise without balance, there is imbalance and that’s not good. The quote below is a foundational, guiding principle that I refer to over and over again in my programs. It’s not just applicable to those who want to create their best year ever, it’s equally (more) important for business people who want to grow their business. The thing is WHAT VALUE do you place on WHAT? With 4 dimensions of mastery (business, internet, professional and personal), how can you reconcile all these values? You need to establish ONE hourly value that is representative of who you are, what you do 24/7. Easier said than done, I know, but it’s that simple. If you value yourself and your time at $10/hour versus $100/hour versus $250/hour, your life will be completely different. Take a minute to read the metaphoric parable of The Mayonnaise Jar and Two Beers. What are the golf balls in your life worth to you? Have a think about it… It can be a priceless revelation to realise you’re sweating the small stuff and missing out on the important things. You’re being tactical instead of strategic. Doing what your boss wants you to do instead of what’s in your best interest. You’re thinking more about your company’s bottom line (when you are not the owner) than your career development. You’re sacrificing you’re sacrificing your work-life balance for very little net gain. Explore this further by journaling. Take a blank sheet and make a list of your Top 10 most important things in life – how often do you enjoy/experience them? Published on September 3, 2012 in Career Management Tips, Innovation and Creativity, Leadership and Productivity Tips. 0 Comments Tags: Creative Thinking, Creativity, Innovation, John Cleese. As a reader or subscriber to this blog, you’ve come to expect the unexpected, which is why you’re here right now, reading this. One of the foundational concept of Exponential Internet Marketing that we teach our clients is how to improve SEO (Search Engine Optimisation) by blogging. Today’s post is a prime example. It was sent to me by Brian Matthews of Axis Planning. 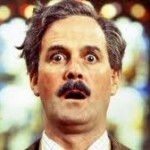 He came across a great article on creativity by the legendary John Cleese. I have to admit, it’s brilliant in its simplicity and elegance. It reflects several recent books I’ve been reading on cognition and accelerated learning techniques. What Brian has done is create user-generated content. Easier said than done. It takes most people YEARS before anyone generates content for them. I teach my clients how to do it in DAYS and WEEKS… Click on the hyperlinks above to learn more about how we do that, but before you do, this blog post encapsulates half a dozen SEO strategies that can help you generate more leads for your business – contact us and we’ll show you how it’s done – using legitimate strategies that are GUARANTEED to work. Ignore this to do list! Published on July 12, 2012 in Career Management Tips, Goal Setting, Mistakes To Avoid, Productivity Tips, Professional Development Tips and Time Management. 1 Comment Tags: Setting Goals, Time Management, Time Management Tip, To Do Lists. List 1: Your Focus List (the road ahead)What are you trying to achieve? What makes you happy? What’s important to you? Design your time around those things. Because time is your one limited resource and no matter how hard you try you can’t work 25/8. To succeed in using your time wisely, you have to ask the equally important but often avoided complementary questions: what are you willing not to achieve? What doesn’t make you happy? What’s not important to you? What gets in the way? Want to read more, click on the hyperlinked header for the full length article sent to me courtesy of Andrew Powell of Montreal, Canada. Published on June 27, 2012 in Career Limiting Moves, Career Management Tips, Goal Setting, Leadership, Mistakes To Avoid, Office Politics, Productivity Tips, Professional Development Tips and Time Management. 0 Comments Tags: Get More Done, Pareto Principle, Priority Management, Time Management. This is a concept we covered in detail at our latest Exponential Extravaganza. Easier said than done, you have to have a time/life management system to make the concept a reality. A recent article in Inc Magazine demanded you stop working more than 40 hours a week. The article revealed that you may think you’re getting more accomplished by working longer hours. But the research shows you’re probably wrong. There’s been a flurry of recent coverage praising Sheryl Sandberg, the chief operating officer of Facebook, for leaving the office every day at 5:30 p.m. to be with her kids. Apparently she’s been doing this for years, but only recently “came out of the closet,” as it were. What’s insane is that Sandberg felt the need to hide the fact, since there’s a century of research establishing the undeniable fact that working more than 40 hours per week actually decreases productivity. In the early 1900s, Ford Motor ran dozens of tests to discover the optimum work hours for worker productivity. They discovered that the “sweet spot” is 40 hours a week–and that, while adding another 20 hours provides a minor increase in productivity, that increase only lasts for three to four weeks, and then turns negative. Anyone who’s spent time in a corporate environment knows that what was true of factory workers a hundred years ago is true of office workers today. People who put in a solid 40 hours a week get more done than those who regularly work 60 or more hours. The key is to realise that unless your an hourly wage worker – you need to realise that you get paid according to PERFORMANCE – NOT EFFORT. However, the facts don’t bear this out. In six of the top 10 most competitive countries in the world (Sweden, Finland, Germany, Netherlands, Denmark, and the United Kingdom), it’s illegal to demand more than a 48-hour work week. You simply don’t see the 50-, 60-, and 70-hour work weeks that have become de rigeur in some parts of the U.S. business world. If U.S. managers were smart, they’d end this “if you don’t come in on Saturday, don’t bother coming to work on Sunday” idiocy. If you want employees (salaried or hourly) to get the most done–in the shortest amount of time and on a consistent basis–40 hours a week is just about right. In other words, nobody should be apologizing for leaving at work at a reasonable hour like 5:30 p.m. In fact, people should be apologizing if they’re working too long each week–because it’s probably making the team less effective overall. All of this is really “cute”, but if you don’t know HOW to make the most of your 40 hours, you’re scr_____. You’ll stop working longer hours (to compensate for your inefficiency) and you’ll soon be shown the door. Stuck – until you learn the strategies of highly effective people who KNOW what to do with their time. Contact us and we’ll help you transform your business or career by doing what works and stop you from wasting valuable time and effort on things that don’t matter. Published on May 10, 2012 in Career Management Tips, Goal Setting, Leadership, Productivity Tips and Professional Development Tips. 1 Comment Tags: Preeminence, Speed Read, Speed Reading. One of the most valuable skills you can learn is speed reading. The reason although self-evident is lost on many professionals and entrepreneurs who struggle to keep up with the demands of their careers and businesses. Preeminence means that your reputation, standing and stature as a source of knowledge, expertise and wisdom precedes you. It’s one of the foundational strategies of Exponential Marketing. However, WHAT you read is as important as how FAST you read it. I created the Preeminence Pyramid to highlight the evolution of a speed reader as he/she matures to develop his/her preeminence and the skills associated with a ‘higher’ profile persona. Of course you can mix and match your reading serendipitously, but the evolution is suggested in this order to ensure the BASE of the pyramid is as wide and as strong as possible. You know to ascend to the next level in the hierarchy when you’ve more or less saturated yourself in the content and context of that particular level/theme. This of course is a guideline, not a strict rule. 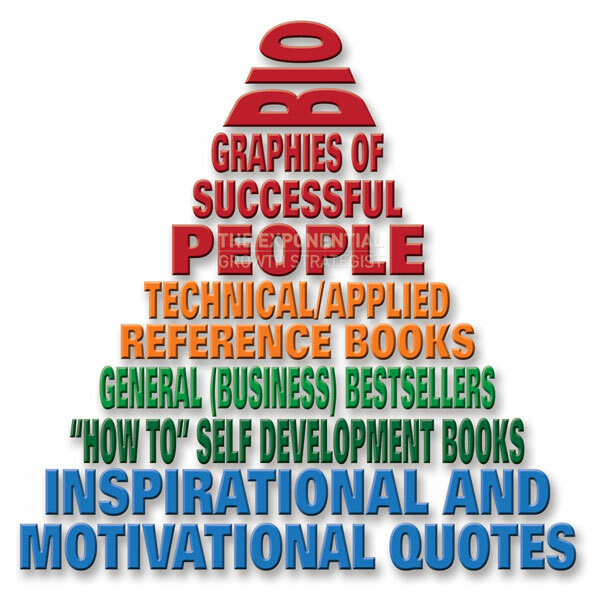 It’s just that without the underlying foundational analysis skills, great biographies are read as great story telling rather than as a revelation of the dynamics at play that intertwine the written passages – they greatest distinctions are unwritten and obtained through osmosis – if you don’t possess the basic skills, you simply can’t decipher the code and lose the most valuable lessons. Published on March 22, 2012 in Career Limiting Moves, Career Management Tips, Mistakes To Avoid, Productivity Tips, Professional Development Tips and Team Management. 0 Comments Tags: Overload, Overwhelm, Overworked, Stress. Take a cue from elite athletes who know how much to train AND avoid overtraining. Here are four ways to tell you’re about to hit a performance wall. Sometimes it’s obvious you need a break, but in most cases you’ll figure it out only once it’s too late. When you work double-digit hours during the week with Saturdays and Sundays no longer a reprieve, feeling overworked, stressed out and fatugued can become the new normal. Even so, you’ll eventually hit a wall and when that happens it can take days and even weeks to recover the enthusiasm, creativity, and motivation you’ve lost. Not to mention the risk of a breakdown or other physical manifestation. Fortunately a few of the same techniques endurance athletes use to detect the need for additional recovery can be used to indicate when you need to recharge your work batteries. Where elite athletes are concerned, chronic overtraining can actually defeat the fitness purpose and result in decreased stamina, power and speed. Sometimes after an inlfection point has been reached, the harder they train the slower and/or weaker they get. The same thing happens to us when we’re overworked at the office, on the job. Of course we then put in more hours to compensate and get even less done! So how can you tell the difference between feeling overworked and really overworking yourself? Here are 4 ways to ensure you stay at your professional best so that you are in peak performance state. Check your resting heart rate. Every day, before you get out of bed, take your pulse. (There are plenty of free apps that make it easy. Some even log results.) Most of the time your heart rate will stay within a few beats per minute. But when you’re overworked and stressed your body sends more oxygen to your body and brain by increasing your heart rate. (The same thing happens when athletes overtrain and their bodies struggle to recover.) If your heart rate is up in the morning, do whatever it takes to get a little extra rest or sleep that night. Check your emotions. Having a bad day? Feeling irritable and short-tempered? If you can’t put your finger on a specific reason why, chronic stress and fatigue may have triggered a physiological response and sent more cortisol and less dopamine to your brain. Willing yourself to be in a better mood won’t overcome the impact of chemistry. In extreme cases, the only cure is a break, starting with a good night’s sleep! Check your weight. Lose or gain more than one percent of body weight from one day to the next and something’s wrong. Maybe yesterday was incredibly stressful and you failed to notice you didn’t eat and drink enough or maybe you failed to notice just how much you actually ate. Lack of nourishment and hydration can impair higher-level mental functions (which may be why when we’re overworked and feeling stressed we instinctively want to perform routine, less complex tasks.) And eating too much food—well, we all know the impact of that. Check your, um, output. Urine color can indicate a lack of hydration (although sometimes it indicates you created really expensive urine after eating a ton of vitamins your body could not absorb.) The lighter the color the more hydrated you are. Hydration is a good thing. Proper hydration aids the absorption of nutrients and helps increase energy levels. If your urine is darker than usual the cure is simple: Drink a lot of water. The key is to monitor each of these over a period of time so you develop a feel for what is normal for you. Pay special attention on weekends and when you take a vacations. If you notice a dramatic change, especially a positive one, that’s a sure sign you need to change your workday routine. Don’t think this is only for elite athletes. If you want to be the best you can possibly be, no matter what your profession, whenever you slam into the workload wall you are far from our best. Don’t even think you don’t have the time to take a short break or get a little more sleep. You can’t afford NOT TO. So why not avoid the collision in the first place?!? !